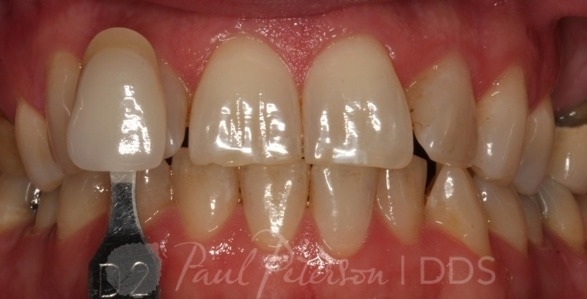 If you prefer teeth that are immediately whiter right now rather than using trays for several weeks then Dr. Peterson has your answer with Zoom! The Zoom! In-Office Whitening System uses proprietary technology to whiten your teeth an average of eight shades* in a little over an hour while you relax at your dentist’s office. It’s ideal for anyone who wants immediate results. 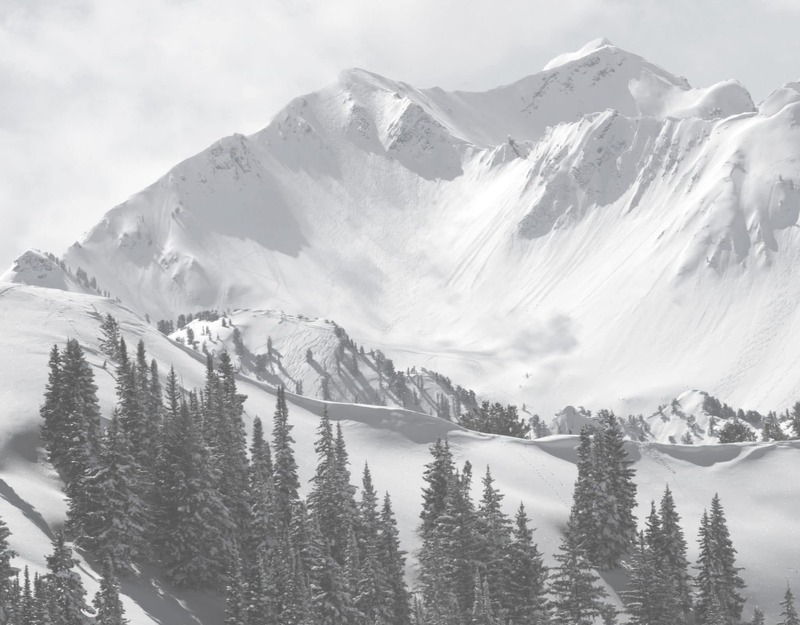 Come visit us in Park City, just a short drive up the canyon from Salt Lake City! Strips or paint-on gels tend to deliver disappointing results and are a hassle. Get your teeth whiter in a fraction of the time with Zoom!. Zoom! is a bleaching process that lightens discoloration of enamel and dentin. It is done in a single visit in the office that takes about an hour and a half. A protective barrier is placed over the gums to keep them comfortable. 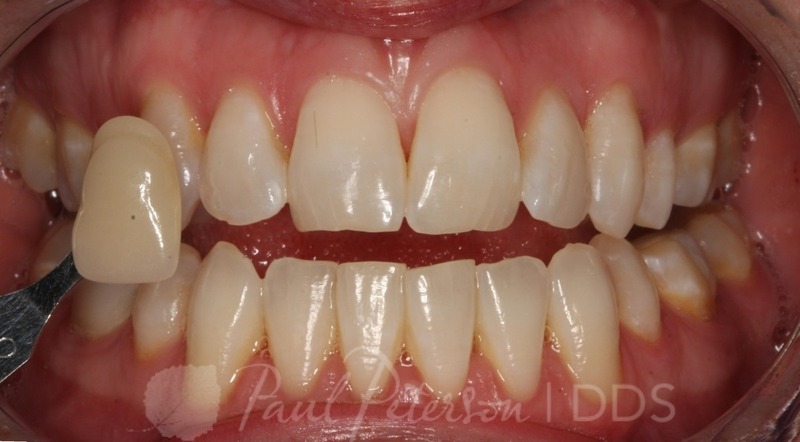 Gel is placed on the teeth and four 20 minute sessions with the patented light system. Just about anyone can benefit from tooth whitening. However, treatment may not be as effective for some as it is for others. 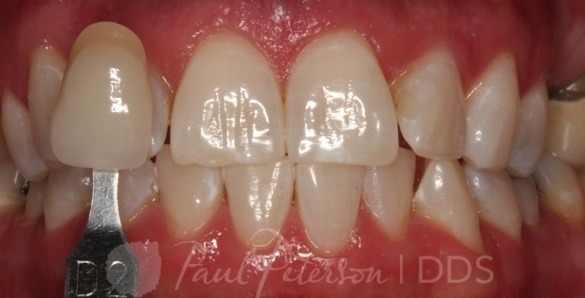 With an oral exam, Dr. Peterson can determine if you are a candidate for this procedure, including a shade assessment. By following some simple post whitening care instructions, your teeth will always be lighter than they were before. We recommend flossing, brushing twice daily with Zoom! Whitening Toothpaste, and touch-ups with Zoom! take-home gel. Our patients are also loving the newest addition to the Zoom! family Zoom! Quick Pro. It can be applied in at your cleaning appointment or any time by one of our trained team members in only 15 minutes! It is a special varnish with a protective coating that you then brush off in 30 minutes. Talk about convenient! 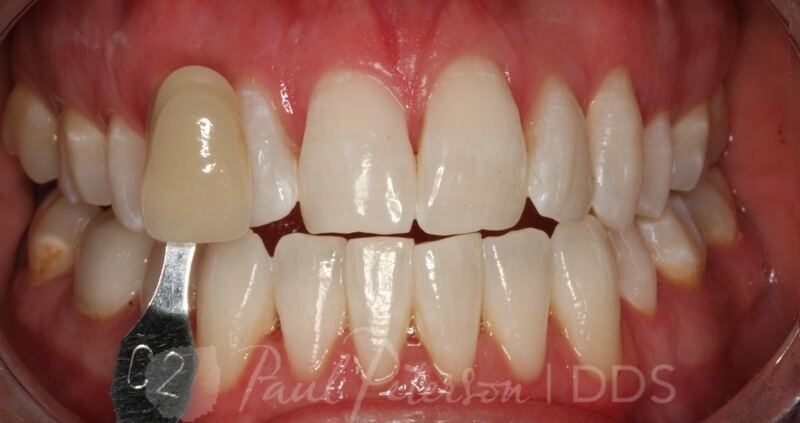 This has been the most popular way to maintain a brilliant smile after the traditional in office Zoom! treatment, or when you are only looking for two to four shades of improvement. These are professional formula products designed specifically to keep your teeth their brightest. Yes! Consulting Dr. Peterson is always the first step to whitening your teeth safely. Over-the-counter tooth whitening strips, brush-on gels and toothpastes take weeks or months to whiten your teeth just a few shades. Zoom! is clinically proven to whiten your teeth eight shades* in one hour or six shades* in just one weekend. The Zoom! take-home gel is designed to be worn between four and eight hours per application. Dr. Peterson will advise you on how long you should wear each application. A recent study showed that you can achieve an average improvement of six shades* after just three nights of use. Dr. Peterson will help you determine how many applications are right for you.